We are looking forward to welcoming you in Klagenfurt or Vienna! The following information aims at guiding you through the relevant administrative processes such as application, admission, course registration, and scholarships. Foreign nationals and stateless persons are subject to the general admission deadline. This period ends on 5 September for applications for the winter semester, on 5 February for applications for the summer semester. Applications must be received in full by the Admissions Department before the end of this deadline. Nationals of a signatory state of the EU Treaty or a signatory state of the Agreement creating the European Economic Area. course of study abroad that is the equivalent of the first degree examination in the selected study programme. Certificate concerning the completion of an at least 3-year course of study at a recognised Austrian or foreign post-secondary educational institution. If foreign certificates are not regarded as equivalent to the Austrian school leaving certificate in terms of content and requirements, the Rector shall lay down the supplementary examinations necessary for establishing equivalence. These supplementary examinations must be taken before admission to a degree programme. In addition to the General University Entrance Qualification, students holding foreign certificates must provide evidence that they satisfy the conditions for admission specific to the field of studies, including proof that they would be admitted directly to the degree programme in the country issuing the document. The holder of the school leaving certificate must be actually entitled to immediately commence the course of study for which he/she has applied to admission in Austria at a university without any further entrance examination, admission examination, supplementary examination, or other restrictions in the country of issue (“Special University Entrance Qualification”). If the study programme that the student wishes to attend in Austria does not exist in the country of issue, evidence shall be submitted with respect to the most closely related study programme. It is only if this country has no universities whatsoever that no such evidence need be provided (not valid for applicants from countries of the European Union). All applicants are required to have sufficient knowledge of the German language in order to ensure that they are capable of following the courses. If an applicant does not have sufficient mastery of the German language, the Rector shall require him/her to take a supplementary examination before commencing the study programme. Scope of the university language examination of German: the knowledge of spoken and written German necessary for the field(s) of study selected and the use of the German language to the extent necessary for understanding the relevant texts. Requirement of German knowledge is B 2/b, for bachelor programme “German Studies” and “Teacher Training Programme for Secondary Level General Education” C 1. 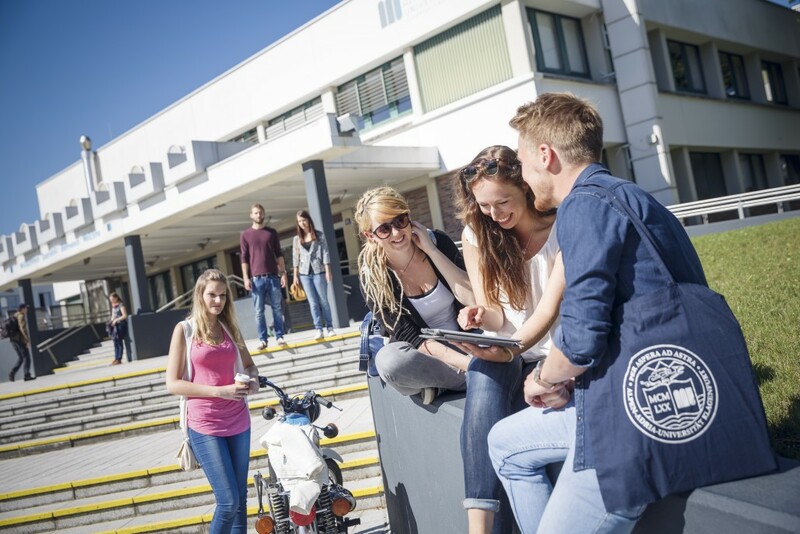 Admission to a Master’s Degree Programme requires the completion of a Bachelor’s Degree in a relevant subject or a Bachelor’s Course of Study at a University of Applied Sciences (Fachhochschule) in a relevant subject or another equivalent study programme at a recognised Austrian or foreign post-secondary educational institution. In any event, evidence of General University Entrance Qualification shall be deemed to have been provided by means of evidence that these conditions for admission have been satisfied. All applicants are required to have sufficient knowledge of the German language in order to ensure that they are capable of following the courses. If an applicant does not have sufficient mastery of the German language, the Rector shall require him/her to take a supplementary examination before commencing the study programme. In the case of artistic fields of study, the Board of Studies can lay down in the curriculum that evidence of the taking of the supplementary examination shall be submitted before registering for the continuation of the study programme for the third semester. Not obligatory for the admission in Information and Communications Engineering, International Management and Media & Convergence Management. Evidence of General University Entrance Qualification for admission to the Doctoral Programme shall in any event be deemed to be provided by means of evidence of the completion of a Diploma Programme or Masters Degree Programme in a relevant subject, a Diploma course of study at a University of Applied Sciences (Fachochschule) or a Magister course of study at a University of Applied Sciences or another equivalent study programme at a recognised Austrian or foreign post-secondary educational institution. If the studies are basically deemed to be equivalent and all that is missing for complete equivalence is a number of individual supplements, the Rectorate shall be entitled to determine that the studies are equivalent, subject to the taking of examinations during the Doctoral Programme. For the Doctoral Programme, the Rector can permit the above rules to be relaxed if the knowledge is not necessary with respect to the course of the study programme. A provisional confirmation of academic supervision from an internal supervisor is needed at the time of application. The provisional confirmation of academic supervision is part of the application form (page 3). Note: This document has no legal status. For legal purposes, the sole valid version of the information it contains is that published in the Austrian Federal Law Gazettes (Bundesgesetzblättern der Republik Österreich). General university entrance qualifications presented by members of the following groups of persons have the same status as those issued in Austria. 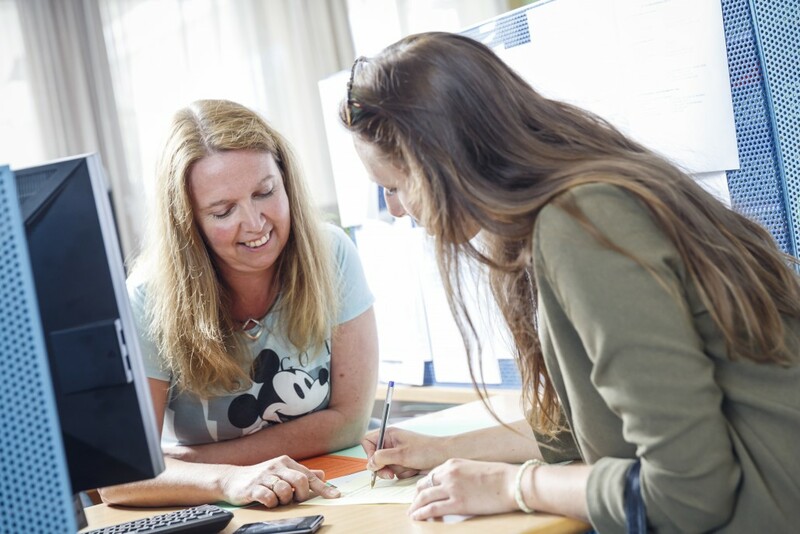 The accepted proof of the required language skills can be found in the “Rectorate’s regulation for the proof of the required language skills for the admission to study programmes”. All documents shall be submitted in the form of an original or authenticated copy. Documents in foreign languages shall be accompanied by German translations. Original documents, copies and translations must be officially authenticated in the country of issue and confirmed by the local Austrian embassy/consulate. Pursuant to international treaties, documents from certain countries only require a simplified authentication or no authentication. Court-sworn interpreters are responsible for translations of documents in Austria. Please enter your details via the Internet (possible from any pc) on the homepage of the University of Klagenfurt at. In the Admission’s Office you will be given the information. Austrians, EU citizens, students with the status of “Konventionsflüchtlinge”, and privileged third-country nationals (“begünstigte Drittstaatsangehörige”) are exempt from the tuition fee, if they are regular students and the duration of their study isn’t exended more than two semesters, they only have to pay the Students Union fee (“ÖH Beitrag”) of € 19,20 per semester. If the duration of their study lasts longer, they have to pay tuition fees of € 363,36 and the Students Union fee of € 19,20 per semester. It will increase in the extended enrolment period by 10 %. These students must prove their status to the Admission Office by providing all the necessary documents (residence permit, administrative decision on asylum application, etc.). The tuition fee for third-country nationals with Student Residence Permit (“Aufenthaltsbewilligung Studierende”) is € 726,72 per semester from the beginning on. It does not increase in the extended enrolment period. Afghanistan, Angola, Bangladesh, Benin, Bhutan, Burkina Faso, Burundi, Cambodia, Cape Verde, Republic of Central Africa, Chad, Comoros, Congo (Democratic Republic), Djibouti, Equatorial Guinea, Eritrea, Ethiopia, Gambia, Guinea, Guinea-Bissau, Haiti, Kiribati, Laos (Democratic People’s Republic), Lesotho, Liberia, Madagascar, Malawi, Maldives, Mali, Mauretania, Mozambique, Myanmar, Nepal, Niger, Ruanda, Samoa, Sao Tome und Principe, Senegal, Sierra Leone, Salomon Islands, Somalia, Sudan, Tanzania (United Republic), Timor-Leste, Togo, Tuvalu, Uganda, Vanuatu, Yemen, Zambia. Non-degree programme students (L 990) have to pay a tuition fee of € 363,36 and the Students Union fee of € 19,20 per semester. It does not increase in the extended enrolment period. For all students who are in need. An application to the Social Fund can be submitted once every semester. This is a once-only payment and not a monthly allowance, and the maximum grant is the amount of tuition fees paid by the applicant. 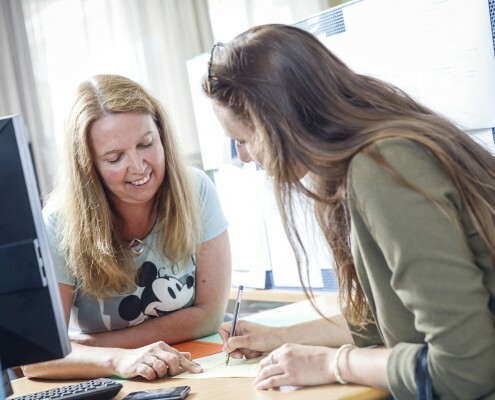 The form is available in the ÖH Service Centre, where the completed application is also to be returned. Deadline for applications: WS 15 December, SS 15 May. Tuesday & Wednesday: 09.00 – 12.00 a.m.
Thursday: 13.00 – 16.00 p.m.